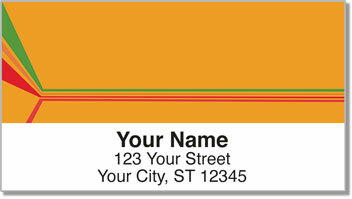 Make everything you put in the mailbox show your savvy sense of style and super cool personality using these retro return address labels. The colors and design were inspired by the fashions of the '70s and '80s. It was a time when MTV was born, Pac Man ruled the arcade and you played your favorite tunes on cassette tapes in a big boombox. You may not miss everything about those days. But if you still have a soft spot for the styles of decades gone by...this is a radical choice. 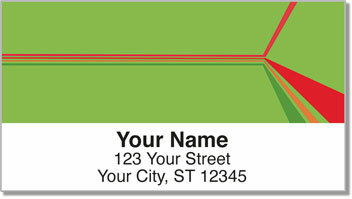 Retro Ray Address Labels from CheckAdvantage will also help you finish the annoying task of filling out envelopes quickly and easily. 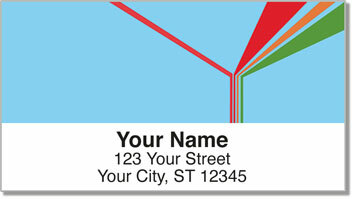 Just peel and stick them on all your letters and packages! 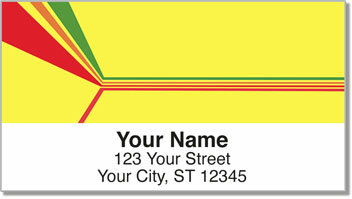 Order your own Retro Ray Address Labels now! Get them with matching personal checks!